Gan Guinea Pigs Swim? Or Would They Rather Keep Their Paws on Dry Land? Can Guinea Pigs Swim? Or Would They Rather Keep Their Paws On Dry Land? Can guinea pigs swim? 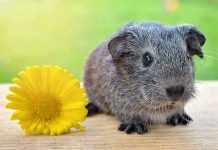 A quick visit to YouTube readily produces quite a number of videos showing a guinea pig swimming – even suggesting this is a favorite activity! But whether or not your guinea pig likes to swim can be a matter of intense personal preference. So let’s take a closer look at the question can guinea pigs swim and find out exactly what you need to know! 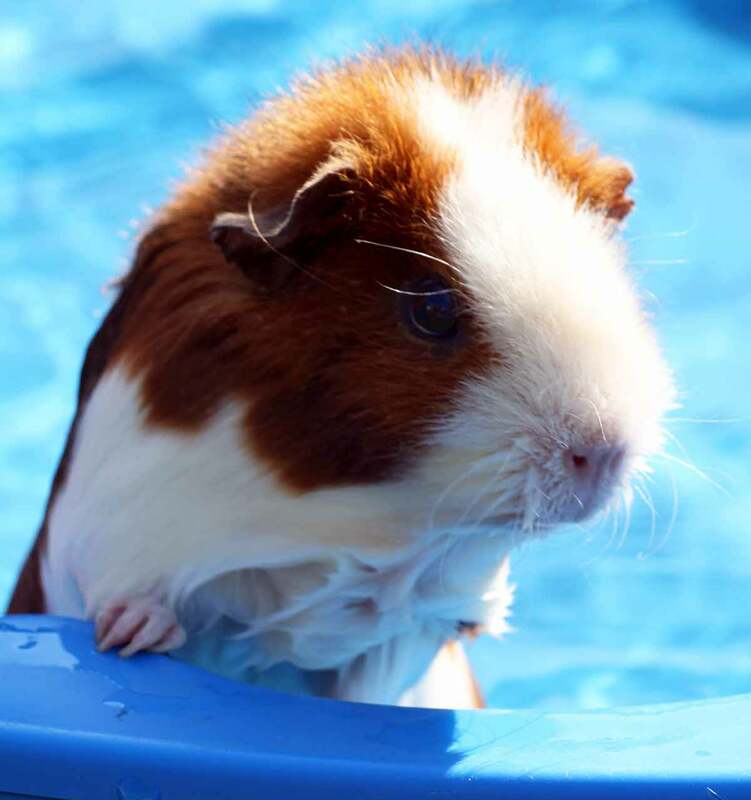 If you had that early classic “full immersion” experience where someone threw you into a pool to “teach” you to swim, you probably know exactly how your cavy would feel in that same situation – scared! Do guinea pigs swim? Yes they do, if the only other alternative is to sink! But they don’t typically like it. Do guinea pigs like water? Most guinea pigs really don’t like to swim and they really don’t like to be bathed. Guinea pigs self-groom like cats and really don’t need to go in the water to keep clean. Interestingly, a cavy relative called the capybara does like the water, to the point where in Japan (where capybaras are the equivalent of rodent rock stars) one zoo even hosts an annual “bathing competition” to see which animal will take the longest bath! But given the option to opt out of bath time or swimming lessons, the truth is that nearly all guinea pigs will be eager to do so. Unlike the capybara, which has evolved to eat water plants and hide from predators by swimming under the water’s surface, the guinea pig evolved to live on land in underground burrows near grasslands or forests. Wild guinea pigs will only drink water if they can’t get enough hydration from the plants and grasses they eat. Do guinea pigs like to swim? Calling someone a “guinea pig” is not generally considered a compliment. It usually means you are the subject of some sort of test or research, whether you want to be or not. The hypothesis was that swimming is so stressful for piggies they will get reliably depressed afterwards, which then makes them the perfect antidepressant test subjects. So if you see a guinea pig in water or watch one of those YouTube guinea pig swimming pool, chances are good that particular cavy has had water exposure very early in life. He has learned not to be afraid and perhaps even to enjoy it. The vast majority of cavies, however, would prefer to give pools and baths a wide berth. Guinea pigs are able to swim (or at least doggie paddle) in a bathtub. You may well see your cavy try it if you decide to give him a bath and he doesn’t want one! How to teach a guinea pig to swim? The first question you should ask yourself is why you want to teach your guinea pig to swim. If it is just to see if he can swim or because you assume he will enjoy it, you may be better off introducing a foraging mat or activity center instead, both of which he will likely enjoy a lot more. 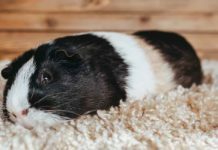 Sometimes, however, cavies do need to be bathed more frequently, especially if the oil gland at the base of the tail becomes overactive (common in adult males), if your guinea pig has long hair and it gets soiled, or if you wish to show your guinea pig. In this case, it can be a good idea to start very early in life teaching your guinea pig that water is not scary and can be fun. Choose a shallow plastic tub – one that your guinea pig can hop into and out of easily. Fill the tub with water. Cup your guinea pig between your palms and gently hold her in the water, speaking reassuringly and (if you have an assistant to help) offering treats. Lift your guinea pig back out of the water and offer her treats and praise right away. Repeat this process until you see your guinea pig is no longer showing signs of fear or resistance. Now you can place your guinea pig in the water and take your hands away. Continue to offer treats and praise during and after she exits the water. In time, you can use a bigger tub with water that is a bit deeper so she can doggie paddle and float about on her own if she wants to. Never leave your guinea pig unsupervised while in the water, and take her right out at the first sign of anxiety or discomfort. Also, avoid placing your piggie into chlorinated water, which can burn her sensitive skin and eyes. Can guinea pigs swim in a pool? With the notable exception of giraffes and great apes, ongoing studies have supported the hypothesis that most mammals have evolved to naturally do two things: produce milk and swim. 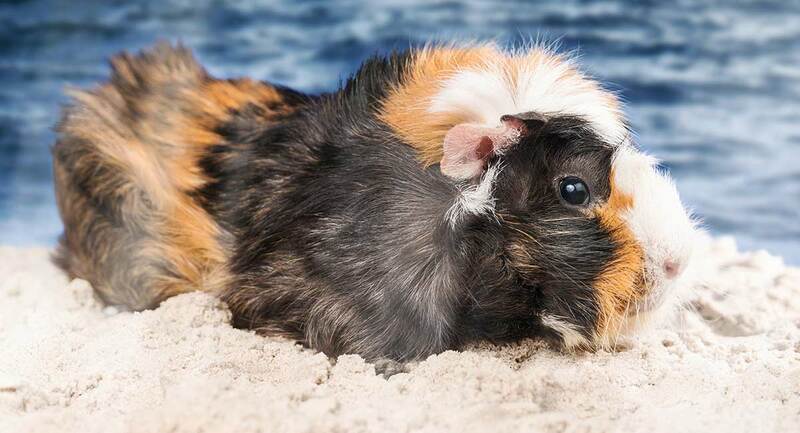 But just because your guinea pig will no doubt paddle like crazy to get to the pool’s edge doesn’t mean that your pet cavy likes it one bit! So can guinea pigs swim? Yes, they can. Do guinea pigs swim voluntarily? Very seldom! Do you have a pet guinea pig who likes to swim? Please drop us a comment – we’d love to hear your story! Wicke, K. M. et al (2007). The guinea pig forced swim test as a new behavioral despair model to characterize potential antidepressants. Journal of Psychopharmacology, 295(1). Steger, I. (2017). How the world’s largest rodent became a superstar in Japan. Quartz. Mehra, D. et al (2018). Tips for you and your Guinea Pig. Northern Idaho Animal Hospital/Washington State University College of Veterinary Medicine. Gabbatiss, J. (2017). The strange experiments that revealed most mammals can swim. BBC Earth. Smit, G. (2014). 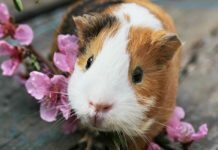 How wild cavies and domesticated guinea pigs differ. Noldus Behavioral Research Blog.